My art is inspired by my travels, much of which is by bicycle. 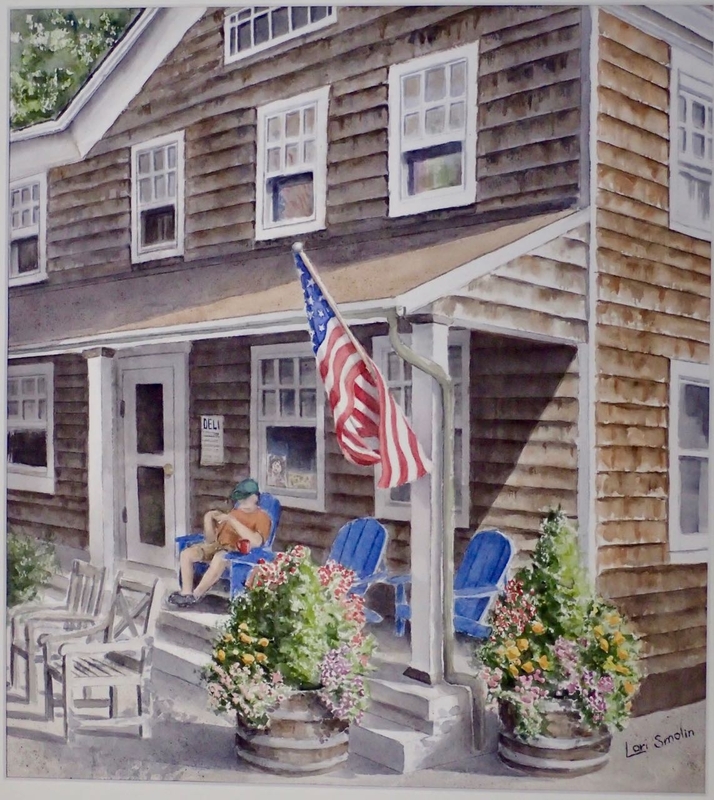 The sights I see as I pedal across Connecticut, around the US, and in other countries become the subjects of my watercolors. 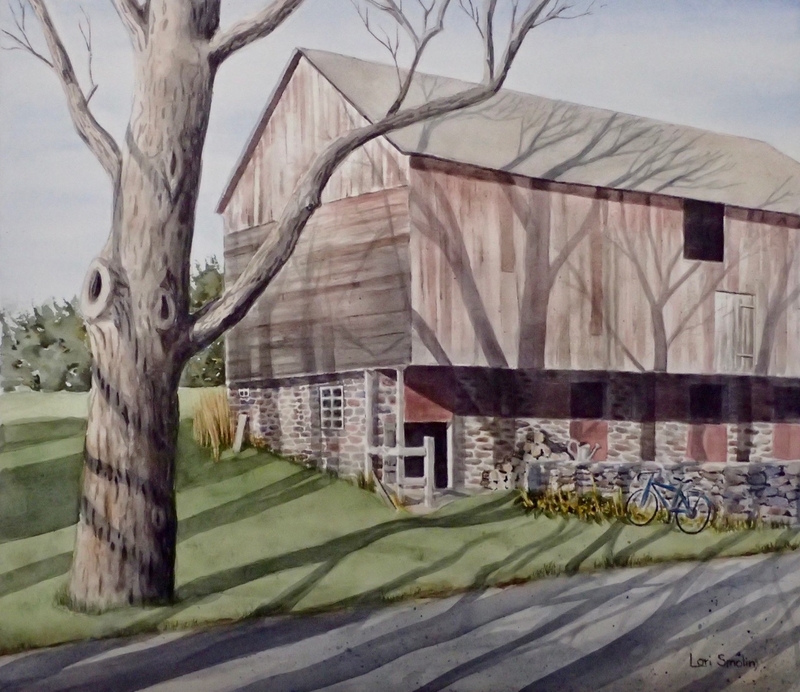 Starting with photos ranging from African fauna (not taken from a bicycle) to Connecticut stonewalls, English cottages, and the Scottish countryside I create pencil sketches and then bring them to life with color and shadow. Painting a scene carries me back to when and where the photo was taken and my mind becomes relaxed and free, similar to the feeling of a strenuous bicycle ride. Since many of my photos are from Scotland, the weather provides both an inspiration and a challenge. On some days the dark stormy skies contrast with the brilliant green hills and purple heather, and on others the clouds obscure the sun so I must create shadows in my painting where the camera saw none. Working on a challenging painting is like reading a good book: I don't ever want it to end. 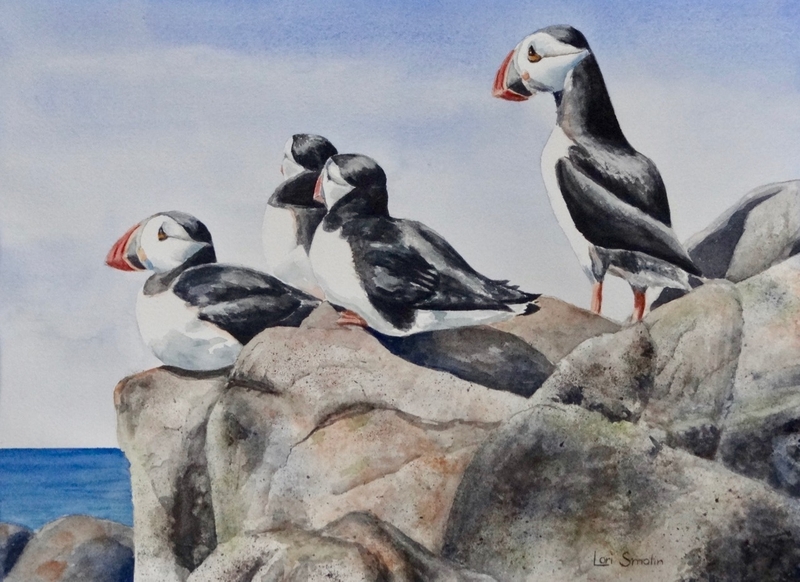 Lori Smolin is a watercolor artist who draws much of her subject matter from her travels. 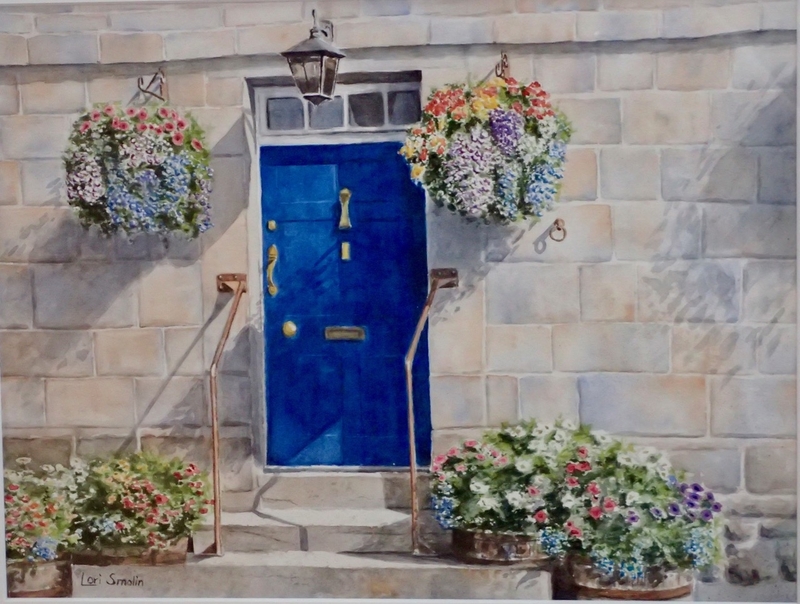 She spent a year living in England in 2001-2002 and in 2011-2012 she returned to the UK for a year in Scotland where she and her husband spent almost every weekend on their bicycles, exploring and photographing the countryside from Edinburgh to the Orkneys. Other subjects for her paintings come from trips to Wales, Ireland, Greece, Kenya, Sardinia, Spain, Israel, Japan, Iceland, and across the U.S. Lori also paints local sights, including some uniquely Connecticut stonewalls. Lori is a member of the Northeast Connecticut Art Guild (NECTAG) as well as the Tolland County Art Association (TCAA). 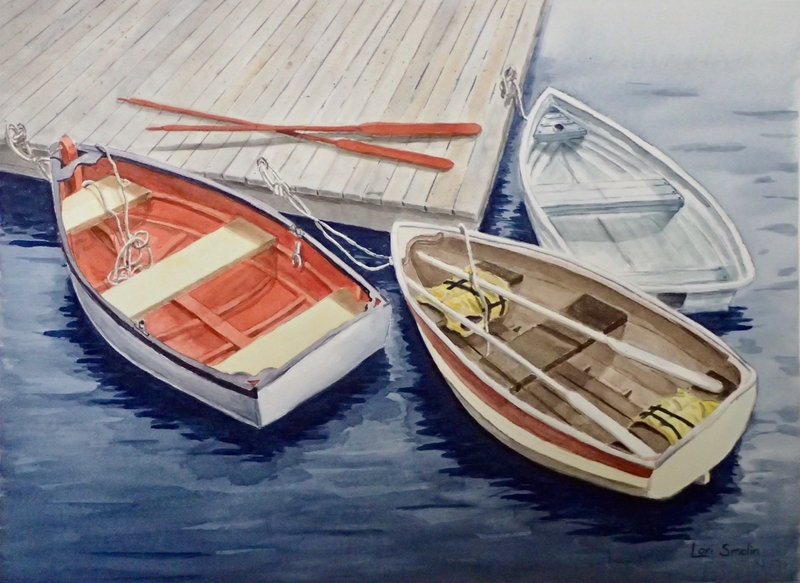 She routinely displays her work in shows sponsored by these organizations as well as other local art exhibits. 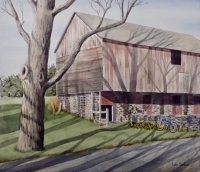 Awards include a top watercolor prize in the Academic Artists Association’s 66th Annual National Exhibition of Traditional Realism, first place and an honorable mention for watercolors in the TCAAs Annual Open Art show in 2014, and an honorable mention in the TCAAs Annual Open Art show in 2016. Lori continues to tuck a camera in her cycling jersey so she can bring home new images to paint.